My first PDF sewing pattern is now up for sale! 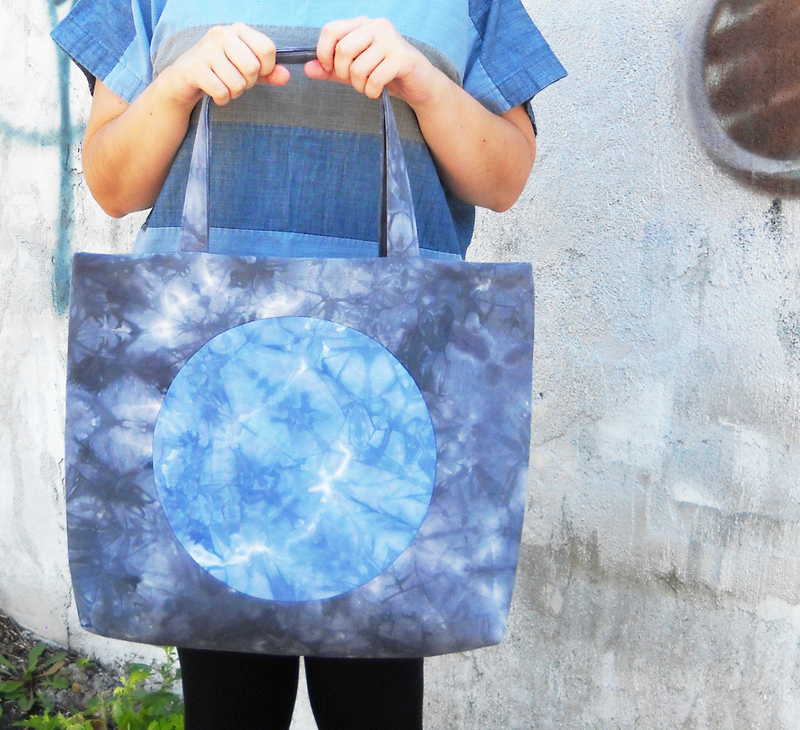 It is called the Full Moon Tote Bag. This is my first foray into selling my patterns, so I’m not sure what to expect, but it’s been so much fun so far! 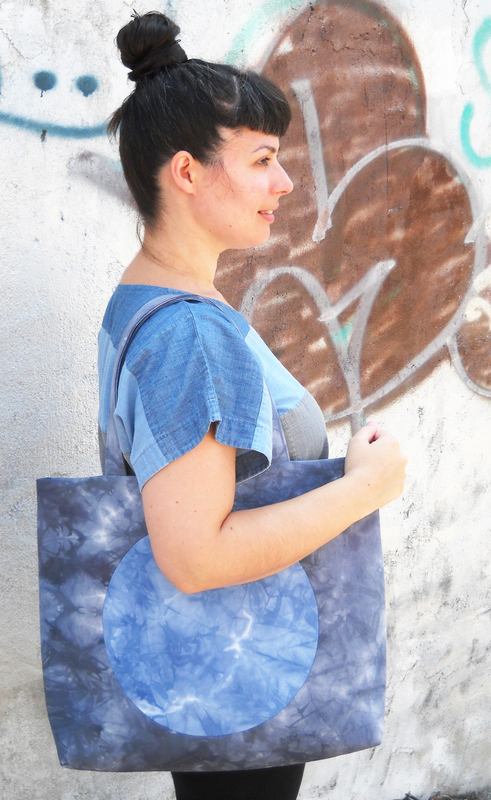 I first designed this bag a few years ago, and I sold it in my online shop, but this is my first time selling the pattern for the bag. I had wondered about selling my patterns for a while, but I had no idea how to go about it until recently. 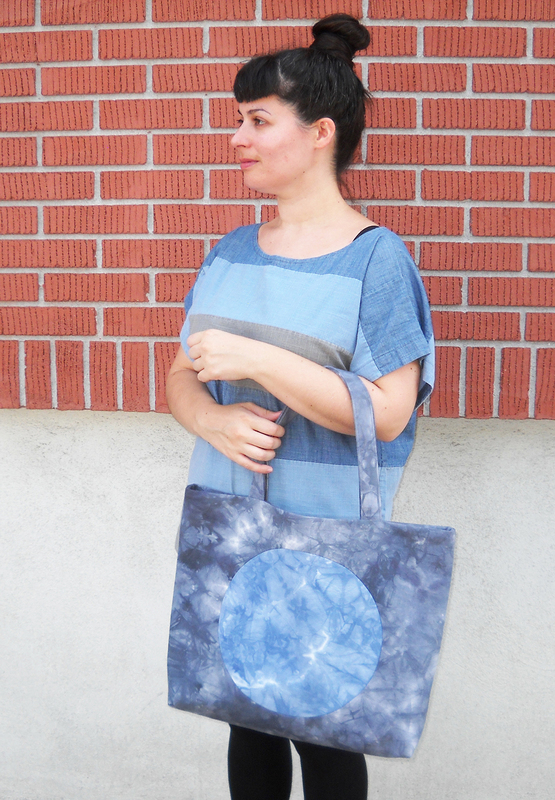 I wanted to start out with a relatively simple pattern for my first PDF, and also something that wouldn’t need to be graded to different sizes, so I thought this tote bag would be a good choice. 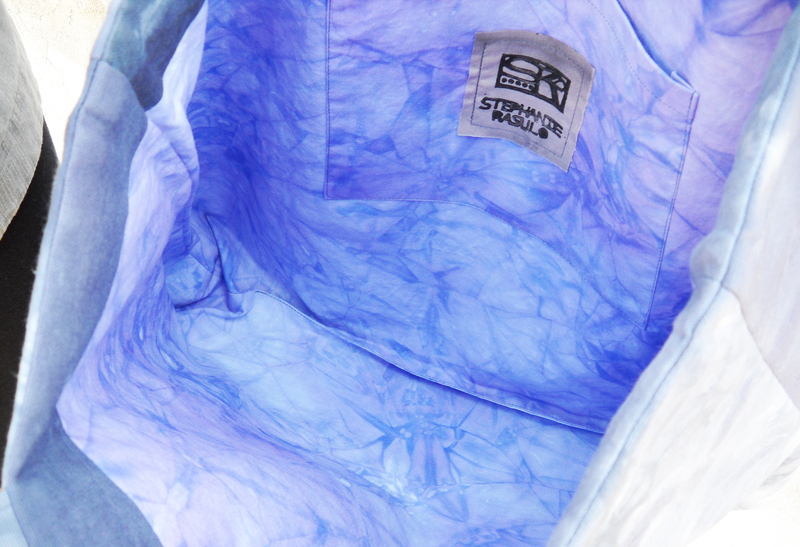 It is simple, but not boring, and involves more than just sewing straight seams. 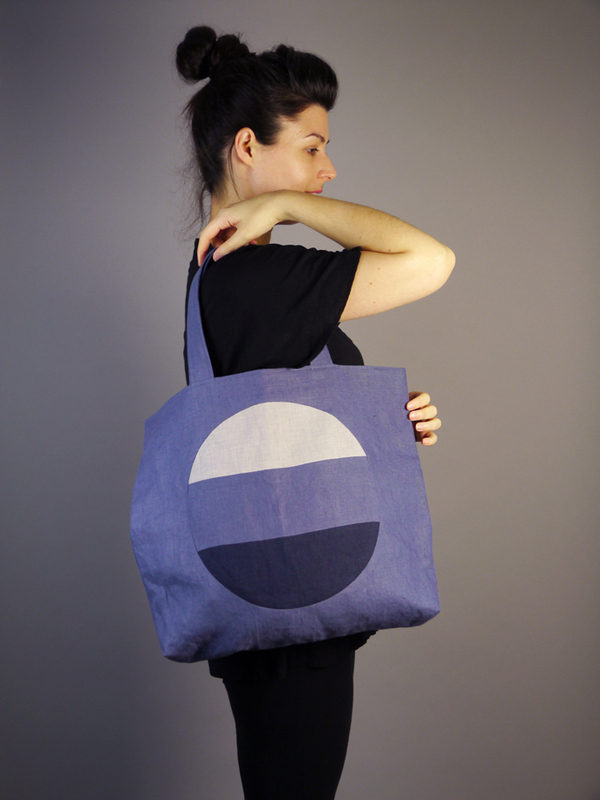 The circle on the front of the bag is sewn into, not on top of, the front panel, so there is an opportunity to practice sewing curved seams. The pattern also includes all the necessary pieces to do an interior facing and a lining, as well as an interior patch pocket. Fully illustrated sewing instructions are included as well. The version pictured above was sold in my shop. I plan on putting up a tutorial for that version at some point if anyone is interested! 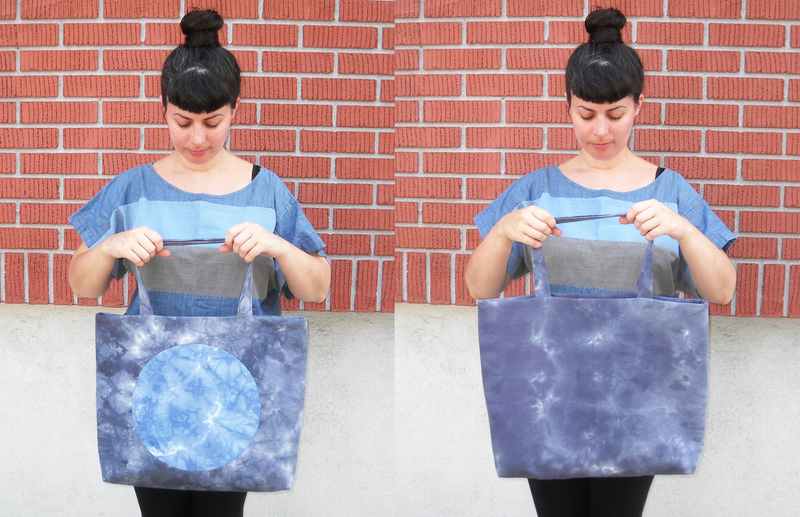 Now that I’ve tested the ropes with the Full Moon Tote I can’t wait to get started on my next pattern! It will definitely be a garment pattern and it will most likely be a dress with long sleeves. I’m hoping to get it released by the fall so it is ready for some cold weather sewing.